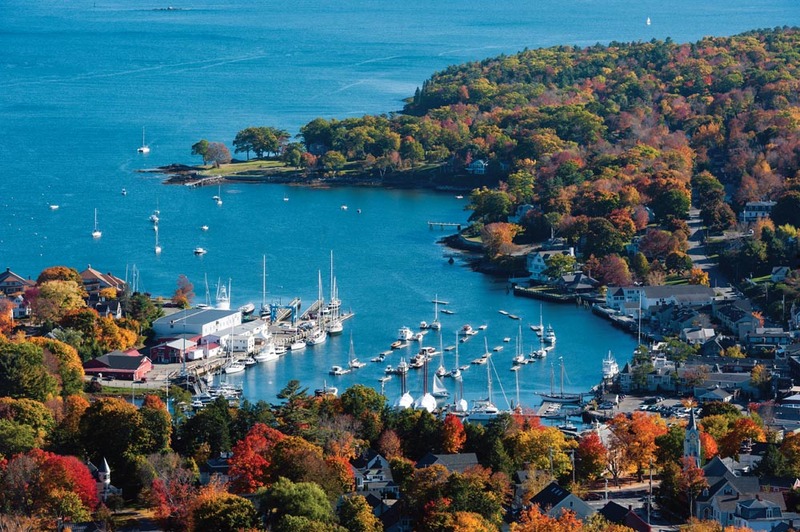 Lighthouses, clambakes, windswept seascapes, and centuries-old architecture—such elements lie at the core of the New England we know and love. But nowadays, travelers can delve beyond classic Americana to uncover some of the area’s more exact ecology, history, and gastronomy. Head out on these four extraordinary paths to rediscover a region you thought you knew. Maine lobster isn’t just a meal at the swish Camden Harbour Inn but rather a two-day, ocean-to-table experience. Through the Inn’s “Lobster Like a Maine Native” package, you’ll start with a journey out to sea on a working lobster boat to master tricks of the trade from local fishermen, including measuring and selecting the day’s best for imminent lobster feasts. 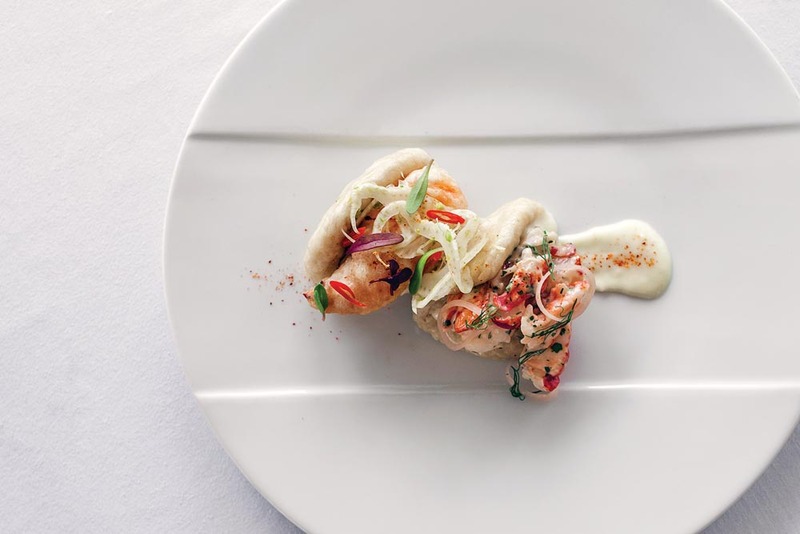 Return to the kitchen of the inn’s signature fine-dining restaurant, Natalie’s, to don an apron and study the finer details of preparing these delectable crustaceans under the tutelage of executive chefs Chris Long and Shelby Stevens. Learn the secrets to a dreamy, creamy lobster bisque (spoiler: there’s no actual cream), a juicy lobster roll, and shell-on presentations before finally gorging on your personal creations. Once you’ve emerged from your lobster coma the next day, prepare to do it all again—this time with an innovative, five-course, wine-paired lobster tasting menu. 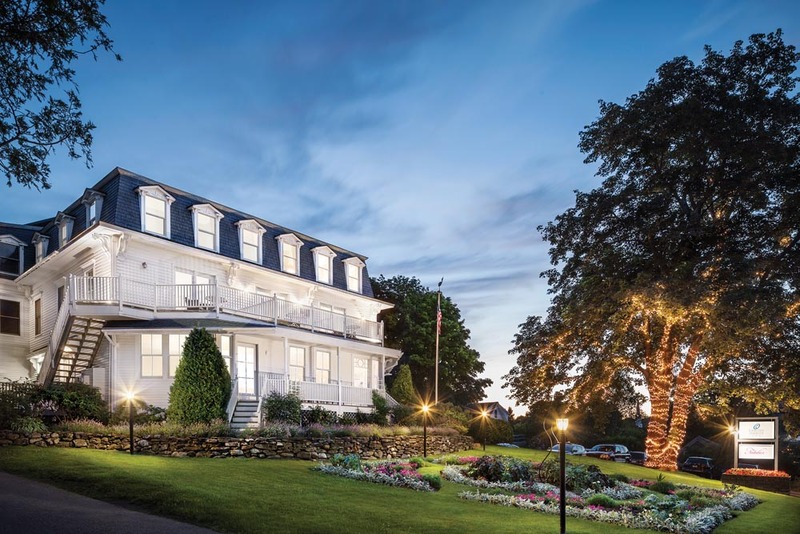 Work off the shellfish indulgences with strolls along Camden’s boat-laced harbor and small downtown or retreat to a sumptuous suite above the restaurant; this is, after all, the nicest hotel in Maine. 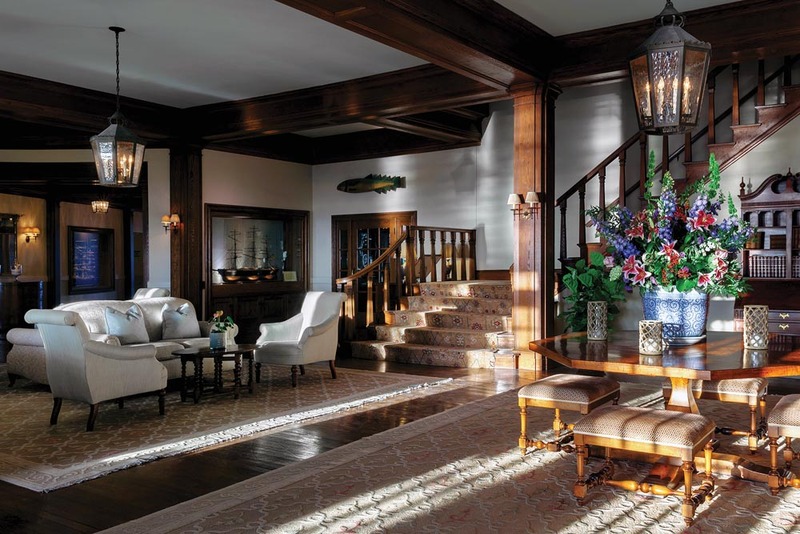 Splurge on the Royal Dutch Suite with its separate living area and seductive fireplaces, one of which serves as a wall partition between the bedroom and the immense spa bathroom. 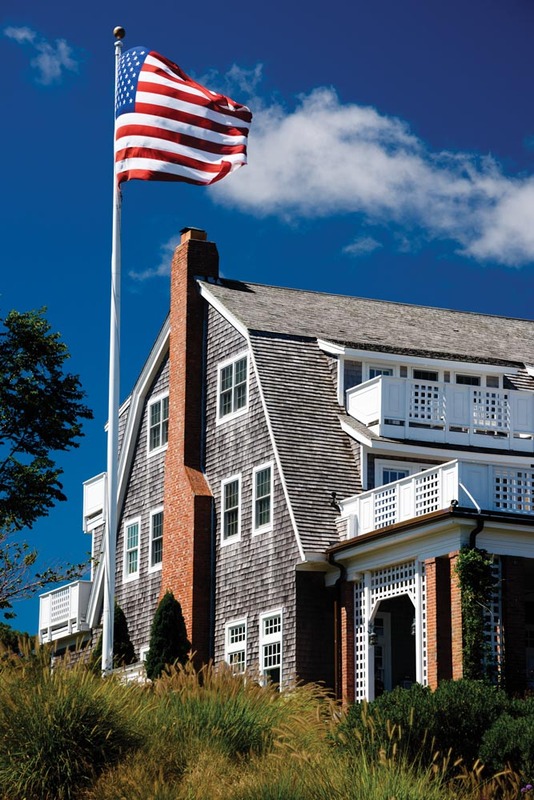 For the third year in a row, legendary Cape Cod property Chatham Bars Inn has added an unlikely activity to its family-friendly roster. A partnership with the Atlantic White Shark Conservancy allows Chatham’s guests the opportunity to shadow great white shark researchers as they tag and identify the ocean’s apex predator, which, thanks to a rebound in the gray seal population, has made a comeback off the shores of Massachusetts. Scientist Lindsay Graff hosts this riveting expedition, which will run Mondays and Thursdays from July 3 to October 19 (weather permitting) and foster a newfound respect for the misunderstood kings of the seas. Prep for the trip by downloading the conservancy’s Sharktivity app that monitors great white sightings and movements and promotes peaceful coexistence between shark and man. If this adventure sounds intense, there’s always canoeing, kayaking,sun worshipping, biking, hiking, seal watching, and all the quintessential Cape Cod fun to enjoy around this four-star property. Salem’s history may be rooted in witchcraft, but its modern renaissance is no hocus-pocus. Downtrodden buildings that once played a role in American history are being revived as coffee houses, cool stores, pop-up shops, galleries, and boutique hotels, resulting in a burgeoning city that brims with new-fashioned creativity and old-fashioned panache. 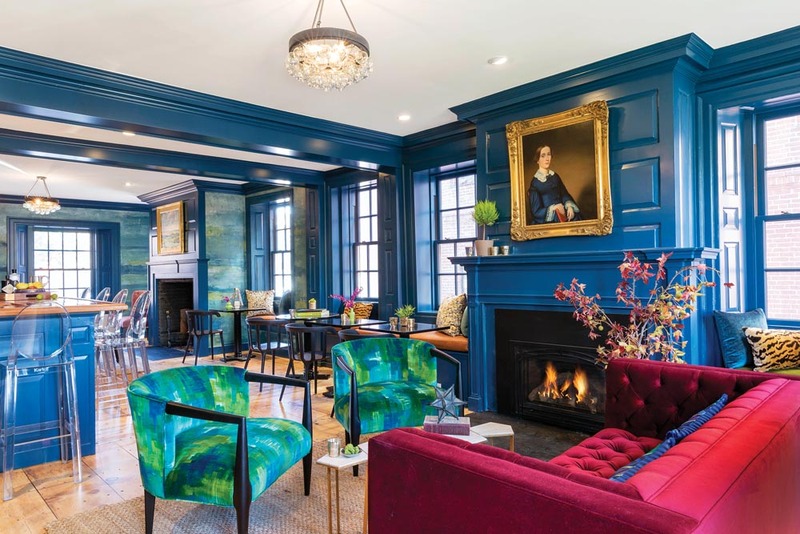 Book a room at The Merchant, the eighteenth-century home of famed sea merchant Joshua Ward that has been reinvented as a design-forward, 11-room hotel, part of the growing Lark Hotels brand collection. Ponder centuries past while keeping warm in front of the main wood-burning fireplace that dates to 1784 and features an iron hearth forged by Paul Revere. Don’t forget to ask the staff about the time George Washington crashed at his fellow Freemason’s pad after the American Revolution. 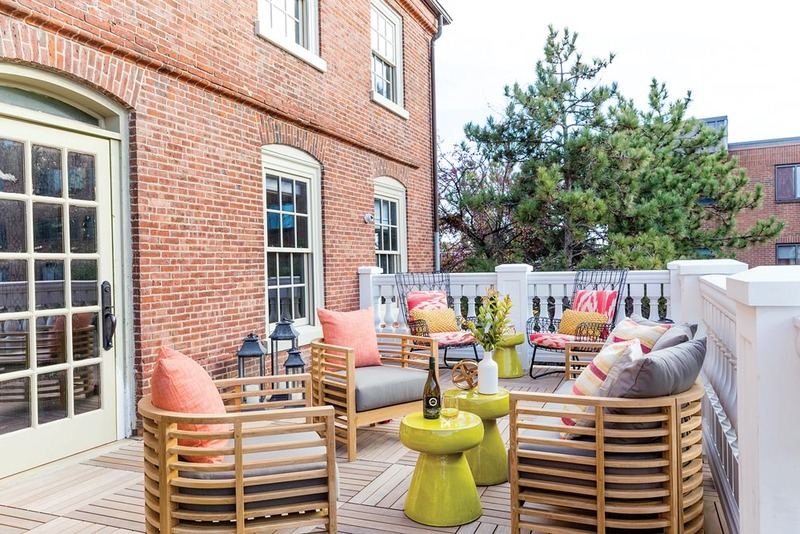 When exploring the city, be sure to browse the maritime and American decorative art collections at the oldest continuously operating museum in the United States, the Peabody Essex Museum. 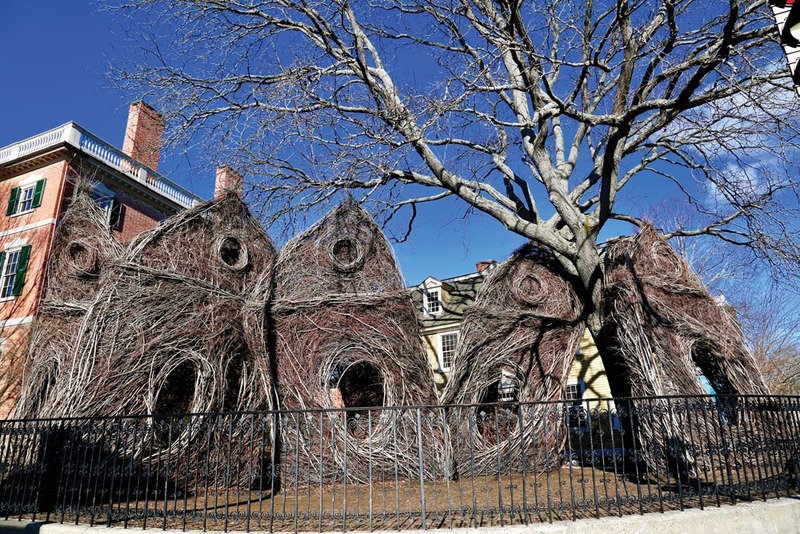 Afterward, step outside to snap images of Patrick Dougherty’s iconic sculptural installation, Stickwork. Sample some of Salem’s many ethnic eateries and include the requisite stop at Bambolina for artisanal neo-Neapolitan pizza baked at 925 degrees in a hand-made, Italian-imported hearth oven. Skip dessert and save room for a late-night cookie delivery courtesy of Goodnight Fatty, a weekends-only cookie shop and delivery service with decadent treats like melt-in-your-mouth, piping hot Almond Joy macaroons. Trending now in New England: small-batch distilleries producing America’s newest concepts in liquid greatness, from beet root vodka in northern New Hampshire to apple brandy and moonshine in southern Connecticut. As of 2017 the region’s distillery count had surpassed 60, with more than half open for tours and tastings (most by appointment only). Each seems to have its own fascinating backstory and a strong personality at the helm, but two must-visits on any distillery road trip are WhistlePig Farm in Shoreham, Vermont, and Privateer International in Ipswich, Massachusetts. 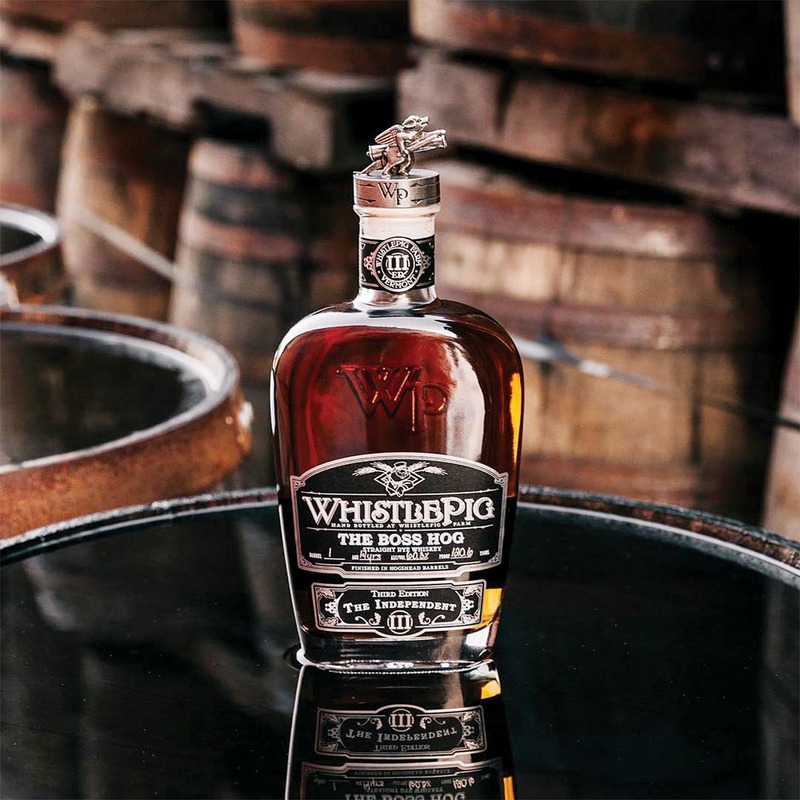 At WhistlePig’s 500-acre farm and distillery, witness all components of rye whiskey production—from grain to glass—and reserve a stay overnight to be a part of the late-night distillation process. At Privateer, visitors can engage with some very passionate rum makers and taste a great deal of high-quality amber rum, with the ability to return to a posh Boston hotel only 45 minutes away.